The Cuba enterprise, which lasted for 58 years, is a testament to the ability and willingness of Floyd Wallace and Charlotte Roxey Pease Crosby to provide for the family good. 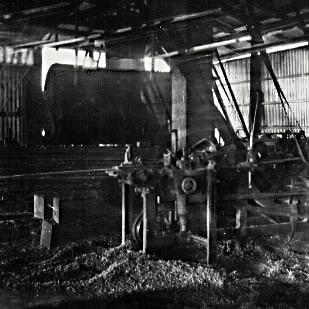 Floyd set up a sawmill in Bartle. 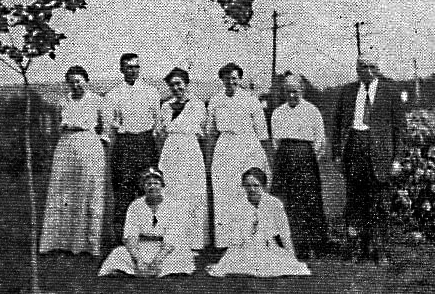 They had 8 children, and all 8 of them were employed at the company business on and off over the years as the needs arose for each of them. Son Jesse was the most permanent of all of the children in running the company business. He came to Cuba in 1908 and stayed until 1954. The timeline below is a recap of who came and went over the years. Whereas this timeline is the bones of the matter, the meat is in the Family Letters. If you want to understand this branch of the Crosby family - this is where you will find it. This is a fascinating story of perseverance, work ethic, and family loyalty all rolled into one. Floyd Crosby commented many times in his letters that he wished to return to Cuba - he considered it the ideal climate for him. This is a timeline of Crosby Activities in Cuba. The sources of this information are the “Ancestors and Descendants of Floyd W. and Charlotte P. Crosby” and “The Family History of George Francis Crosby”. The entire text of both of these documents can be found on the Sources page. Floyd Crosby made his first trip to Cuba in February of 1900 with son Walter. They stayed in Gloria, Cuba for the rest of the winter, and Floyd returned to Dickson, TN in the spring. Floyd and Walter stayed in a tent. After Floyd left Cuba, Walter and a friend hunted alligators at night on the Maximo River, skinning them and selling their hides for a livelihood. Later they moved to the nearby colony of Riverside, where they bought lots, though they still lived in a tent. They built a brick oven and soon they were baking bread and selling it to the growing number of colonists. In 1902, Walter and friend moved to Camaguey, Cuba. They bought a track of land near the city, and Walter worked at the Cuba Railroad car shops for several years. However, shortly after their return, their former mill partner in Dickson, TN, John McFarland died, so they took back their interest in the mill they had sold to him. May 9: Lorina May (daughter of Walter and Marguerite) was born in Camaguey, Cuba. June 27: Arthur Neil (son of Walter and Marguerite) was born in Camaguey, Cuba. In June 1906, Walter had an accident that so mangled his right hand, that it had to be amputated just above the wrist. FLoyd Crosby owned and operated a lumber and millwork business in Dickson, TN, which he sold in early 1907. He then went to the island of Cuba with his son Walter to establish another lumber business. He was there for 14 months, and in that time, they bought land and equipment and set up the saw mill. 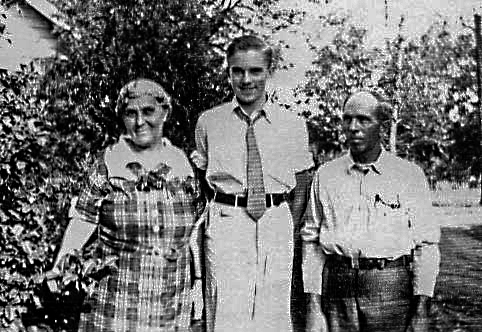 In 1908, Floyd wrote and asked son George and his wife Olo to join him in Cuba. George was pursuing other interests and did not go at that time. However, his brother Jesse and his wife Lula did join Floyd W in Cuba at that time. Jesse and Walter ran the mill after Floyd returned to Dickson. Floyd returned to Cuba with Fannie in January of 1910. He then went back to Dickson, and returned with wife Charlotte, and children Bertha and Howard in November of that year. 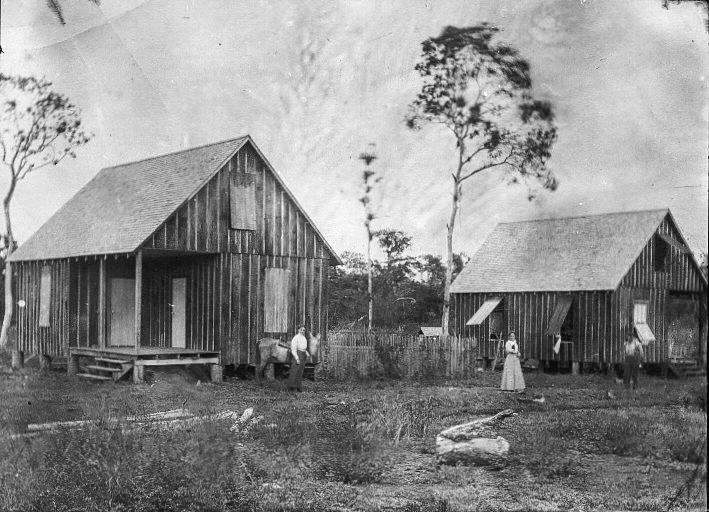 In 1910, Walter and a partner bought a burned-out sawmill in Omaja, Cuba. He sold out and moved to Camaguey in 1912. 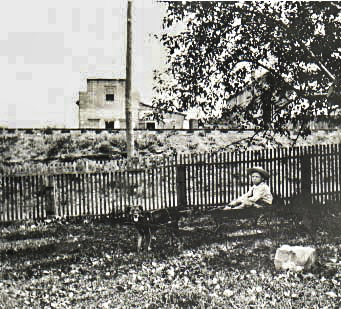 Clarence and his family moved to Bartle, Cuba in February 1912. Two of their seven children were born in Cuba. They remained in Bartle, Cuba for 5 years. April 28: Lewis Paul Crosby (son of Clarence and Teresa) was born in Bartle, Cuba. May 27: Floyd and Charlotte left Cuba to tour many old places on the main land. Walter and his brother-in-law Herbert Nickerson set up a handle factory in Bartle. The partnership dissolved, and Walter ran the business until 1918. The revolutionaries burned the railroad bridges, turned up the tracks, and cut all communication lines. The banks were all closed and all business came to a stand-still, except for the sugar refineries, which were located on the coast and had their own railroad system. However, the revolutionaries then started burning the sugar cane fields. There were about 1700 revolutionaries around Bartle, which was originally an American colony. Bartle was the location for the mill run by both Floyd and Jesse Crosby. Brother Walter also had a handle factory in Bartle. Nov 25: Teresa Levice Day Crosby (wife of Clarence) died, and is buried in Bartle, Cuba. February 21: Elizabeth Charlotte Crosby (Oldest child of Clarence and Teresa Crosby) dies and is buried in Bartle, Cuba. She was 12 years old. Conditions worsened to the point, that the family had to leave Bartle by the use of a RR push car, (the men pushed and the woman and children rode). They took this push car to a junction point where they transferred to an armored train waiting for them. The sight of machine guns and armed marines stopped the rebels from taking the train. It was reported in the papers that youngest son Howard had been hanged by the rebels, but this turned out to be false. After a 2 week stay at the sugar mills, the family was rescued by a local boat and taken to Havana. Brother Clarence was also there with his 6 boys and they were included with those fleeing Bartle. Clarence was so poor that he could not afford the tickets to get his family out of Cuba. They took up a collection on the boat to get enough money for tickets for the boys. The revolution was put down later in 1917, so Jesse and Howard returned to Cuba to look after the property and mill. Walter leaves Cuba and moves to Deland, FL to enroll his two children, Carolyn and Carl, in school. Floyd died April 5, 1919 and was buried in Eastman Cemetery in South Wayne, Wisconsin. Charlotte returned to Bartle, Cuba in the middle of April 1920. 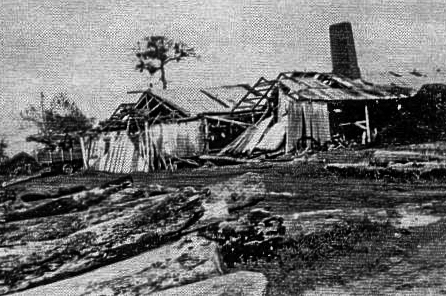 May 13: Sawmill burned to ground – some repairs had been made after cyclone damage. 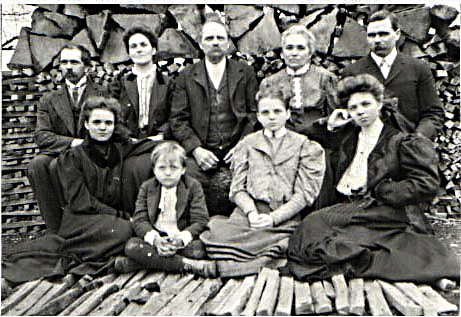 May 18: Lula Baker (1st wife of Jesse) died in Bartle, Cuba. June 25: Jesse marries Remedios Hernandez. April 28: Lula Bertha (daughter of Jesse and Remedios) born in Bartle, Cuba. July 20: Jenny Charlotte (daughter of Jesse and Remedios) born in Bartle, Cuba. September 9: Jesse Remedious (son of Jesse and Remedios) born in Bartle, Cuba. December 14: Daniel Newell (son of Jesse and Remedios) born in Bartle, Cuba. Dec 25: Jesse and Remedios move to Gainesville, FL. 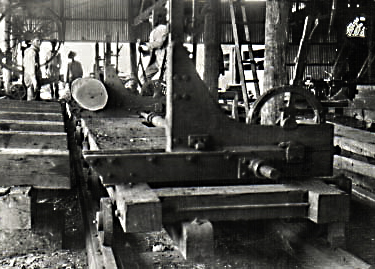 Sawmill had been rented after Jesse left in 1954. 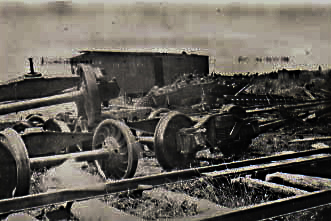 Sawmill confiscated by Castro government.